What is an exclusive MLM Lead? Personally, I define it as a lead that is exclusive to you. That means you aren’t sharing your lead with several other distributors. In most cases, it’s a lead that you generated yourself. Let me start by telling you that most lead companies sell the same leads to at least five to ten different distributors, and sometimes to more than that. This means that you have many other network marketers calling the same leads that you are calling. By the time you give the person a call, they have either already found an opportunity or they are tired of being harassed. This limits your chances of success with most purchased leads. I always ask people “how do you like being called up by a stranger trying to sell you something?” Most people don’t like when it happens to them, but they do it other people. That makes no sense to me. On the other hand, when you learn how to generate your own leads, you don’t have to share your leads with anyone. You know which advertisement they responded to and what they are interested in. You know the lead is responsive and fresh. You are only limited to your own creativity. Your real key to success is to find a strategy that you are good at and that you feel comfortable doing. There is no ONE right way to do it. Different strokes for different folks. At the end of the day, your success in this industry will come down to your ability to get leads AND to convert those leads into customers and distributors. Most of the top earners are AWESOME at generating leads, so they always have someone to share their products or business with. And most people who fail in our industry fail because they don’t have anyone to share their products or business with. Get the picture? Learning how to generate leads is one of the best skills you can learn. Once you master this skill you are in the driver’s seat. Remember, not all leads are created equal. What you want is high quality, targeted leads that you generate yourself. Simply put, you want exclusive MLM leads. Don’t waste your time and money buying leads from a lead company. In most cases, it is a complete waste of money. It behooves me as to why anyone would purchase MLM leads. The odds of getting a customer or distributor from them are quite high. With all the information on the internet, especially this website, you can find multiple ways to generate leads. As Chuck said, using social media and a blog can get fresh leads. Handing out fliers can get leads. Putting advertisements in newspapers and magazines, along with advertising on your vehicle can get leads. It just takes a bit of thought and work, but generating your own exclusive leads makes good sense. Generate your own leads. Spend the time and money to learn how to do that. It is time and money well spent. I do like the idea of hosting events and parties. I think the face-to-face contact and personal approach goes really far in helping to establish a connection with people which is a valuable tool when it comes to selling products/services. I wonder how effective using the newspaper really is in this day and age of social media. Do large numbers of people really still read the newspaper? Nevertheless, these are great ways to take control over your leads and create the kind of business you desire. Home parties are a great way to get more leads. Maybe it’s just me, but buying leads in 2014 seems a little outdated. This method of generating leads was effective when there was no way for an individual to gain high levels of exposure. When the only methods of lead generation were phone calls, newspapers, and word-of-mouth, it made sense that there should be companies that sell leads, because only those companies had access to such information. These days, everyone is able to access this information. There are so many platforms for generating MLM leads: blogs, youtube, websites, online marketing and advertising; there are many more options for getting exclusive leads than there were before. 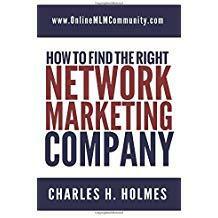 Going above and beyond the competitors to find exclusive MLM leads will undoubtedly benefit you. That creative spark puts you in a different league and prospective clients will be able to tell. Social media has been a great tool to help MLM distributors find unique ways to connect with clients.